The Investigative Committee labeled attempts by Polish authorities to influence the probe into the late president’s plane crash as "absolutely unacceptable." Many reports in the Polish media criticizing the Russian investigation into the crash of Lech Kaczynski’s plane are attempting to put pressure on investigators, the committee’s spokesman Vladimir Markin said on Wednesday. 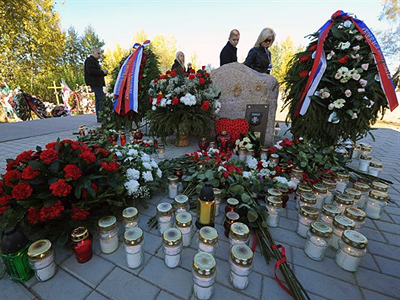 The late Polish president and 95 other people aboard were killed near Smolensk on April 10, 2010. Markin denied Polish journalists’ claims that Russian investigators were “biased.” Such charges are “irresponsible speculation,” he said. The investigation started on the day of the disaster, and “an enormous amount of work has been done,” the spokesman said. Investigators carried out complicated technical tests and questioned hundreds of witnesses. They are studying the materials of the technical commission of the Interstate Aviation Committee (IAC). 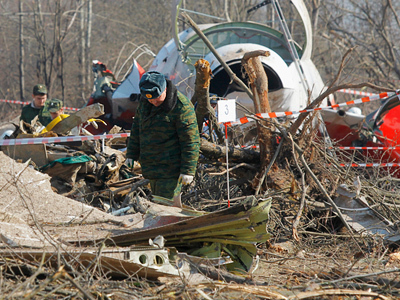 It published a report in January, saying that the Polish crew refused to use an alternate airfield despite traffic controllers’ warnings, which led to the plane crash. So far no contradictions have been found between the commission’s conclusions and results of the investigation, Markin noted. Meanwhile, Russian investigators are going to question Polish officials who were responsible for preparing the flight. Representatives of Russian law enforcement agencies could take part in questioning of these officials, a source familiar with the investigation told Interfax on Wednesday. Russian investigators also want to find out the details of the organization of the Polish presidential flight and the training of the plane’s pilots. The source also said they pilots had not been provided with an updated weather forecast before the flight. Earlier, some Polish politicians and journalists had questioned the Russian air-traffic controller’s skills. Polish prosecutors, who worked together with their Russian colleagues in February, were able to ask questions about the air controllers’ actions and their qualification. In addition, the Russian Investigative Committee has pledged to provide Polish authorities with documents of the joint investigation. 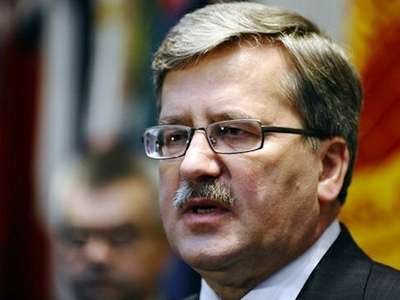 The Polish Interior Ministry and prosecutors are continuing their own investigation. 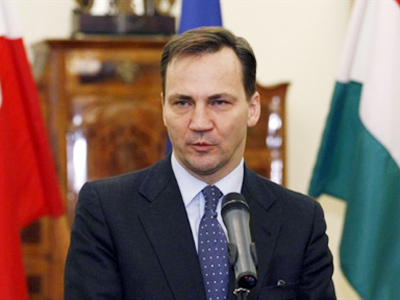 Prime Minister Donald Tusk said on Sunday that Warsaw was in no hurry to publish its results.